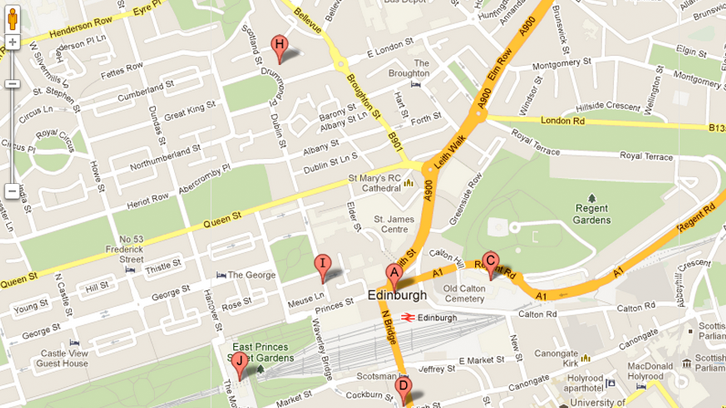 Creative Scotland is based at Waverley Gate, which is situated by Waverley Train Station and Waverley Bridge for buses. The offices are within walking distance from either of these transport hubs. The Lighthouse is located just off Buchanan Street in the heart of Glasgow city centre. The office is conveniently located just minutes from both Glasgow Central Station and Glasgow Queen Street Station. There is no onsite parking, but visitors can use the NCP car park across the road on Mitchell Street which is within easy walking distance to the Lighthouse building. The Lighthouse front entrance is accessible from street level through either a revolving door or an automatic sliding door. The Creative Scotland office is on the 2nd floor, accessible by lift or escalator. All visitors should report to our reception on the 2nd floor in the first instance. The office is on one level with security buzzer access at the main door. Guide dogs, hearing dogs and other recognised assistance dogs are admitted. Accessible toilets can be found within the building with directional signage in place.